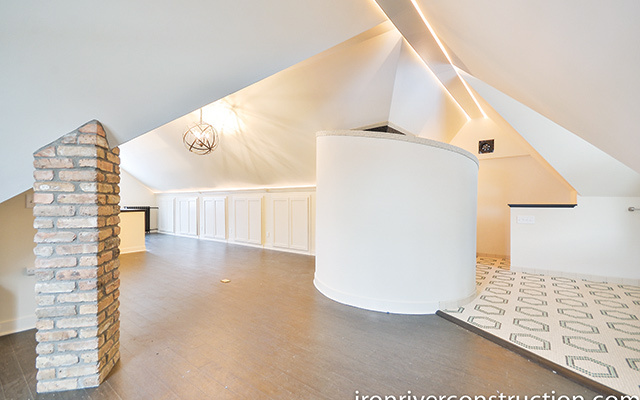 The trends forecast is in, and “extra room” attic spaces are here to stay. 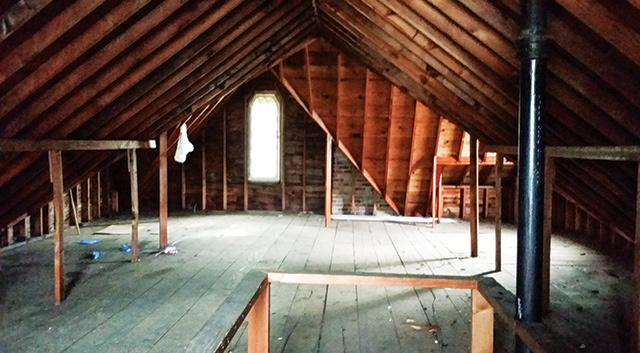 The potential is endless; with the space being converted into a bedroom, family room, or an office, attics allow homeowners the opportunity to customize their home to fit their needs. 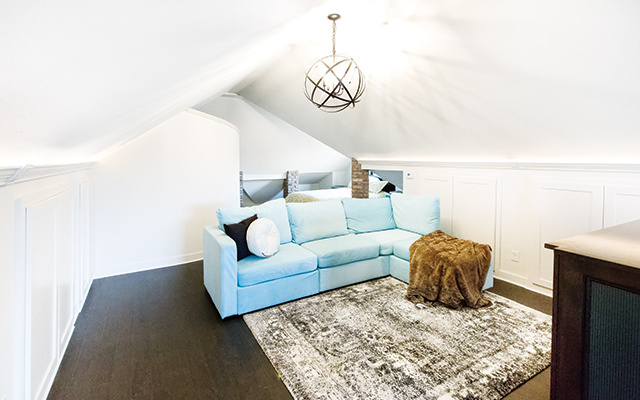 When Mandy French and Carol Kratzer bought their home in 2002, the attic was unfinished and they always planned to build out that space at some point, even including it in their overall financial plan. The women worked very closely with their financial advisor and started saving in 2008 to turn it into their master bedroom suite. By 2013 they were meeting with Iron River Construction for another project and decided to show the space to Tracy Dahlin (the owner and president of Iron River). 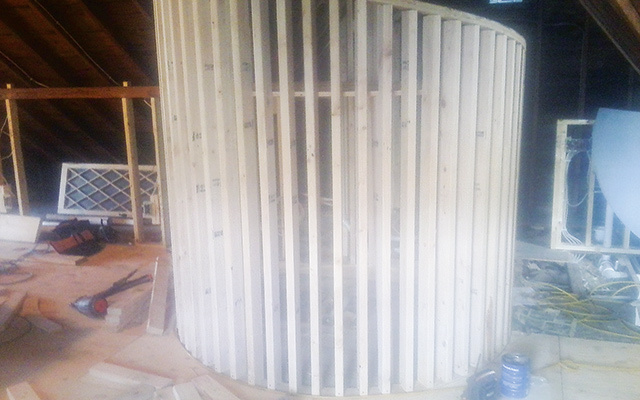 A few months later, the couple started the initial meetings to get the estimate for the attic remodel. From there, the project was broken into three phases: framing, electrical, plumbing, and windows; foam insulation; and drywall, flooring, paint, plumbing fixtures, tile, tub, and finishing touches. Initially the project was forecast to take place over two years to coincide with French and Kratzer’s cash flow and savings plan. With the help of short term financing, the women were able to accelerate the timeline to nine months. Other concerns around the project were about cost. French and Kratzer know from experience that even when you plan very thoughtfully, unplanned expenditures do occur. Increase in cost of supplies is what impacted the overall cost for this project. Through consistent and honest communication between them and Iron River, the project was able to move ahead without issue. Staying true to the home was at the heart of the remodel design. With a 1936 Tudor 1.5-story home, the women wanted to stay within that style, have a very open floor plan, and optimize storage space. This included keeping all the angles of the peaks as well as the exposed brick of the fireplace. For a color palette, the couple wanted to stay very neutral (black and white) and incorporate color with furniture, rugs, art, and other accessories. 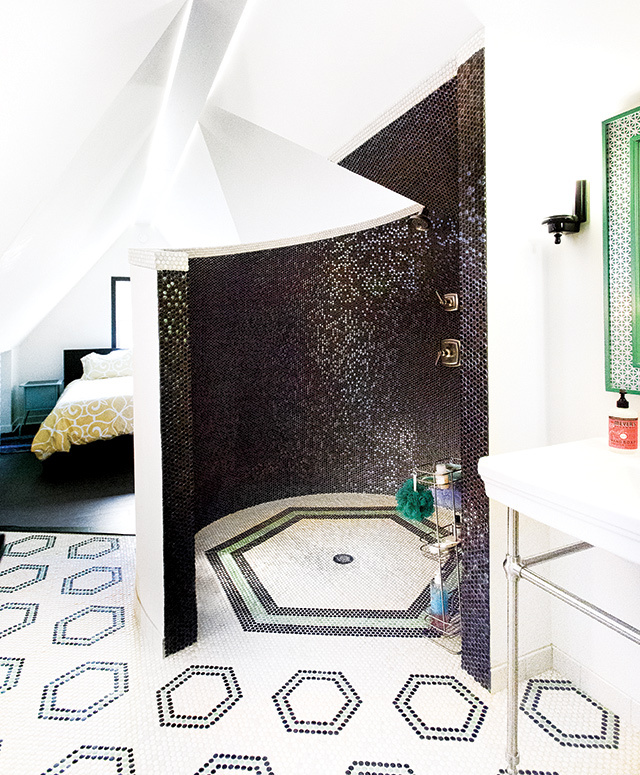 The color scheme for tile in the bathroom was pulled from the original bathroom on the main floor: black and white with seafoam green accents. 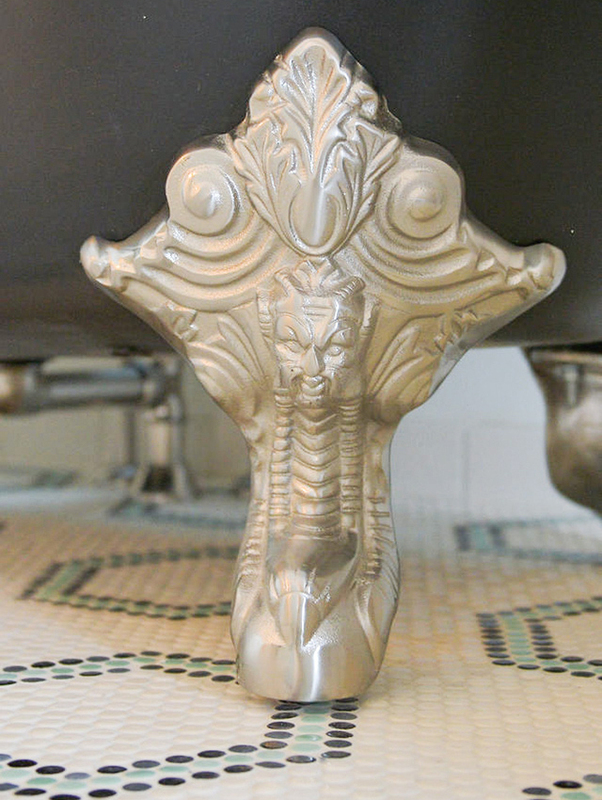 Antique sconces were purchased as well as recreated art deco sconces over the sink. The three brick posts were also an intentional design decision that arose out of a necessity for structural support. Not wanting to have a wooden or dry-walled post, the two decided to pull the brick element from their fireplace out into the space and reclaimed Chicago-style brick from their neighbor’s driveway to cover the posts. The one lesson that French learned through this process is patience pays off, and gives one piece of advice to anyone else seeking to remodel: know your requirements and stay true to yourself and your home. In order to have that trust and communication with your contractor, Dahlin suggests treating your initial conversation as an interview rather than an estimate, as prices should all be in the same range. For example, are they licensed and do they appear organized, ask pertinent questions about your project, and listen well? One important question to ask them is how long the contractor has been in business. According to Dahlin, most companies (remodelers included), fail within five years, and you want someone to answer the phone in the future if there’s a problem. Aside from being in business for just a short while, Dahlin notes some other warning signs, such as a contractor that is unlicensed, hard to get a hold of, asks you to pull the permit, uses unmarked vehicles, or will not work with signed contracts. If that doesn’t throw you off, be on the lookout for a contractor with no physical address or who uses vague contracts (such as new kitchen counters, cabinets, and flooring for $20,000 with no specifications as to materials, sizes, areas, or scheduling).